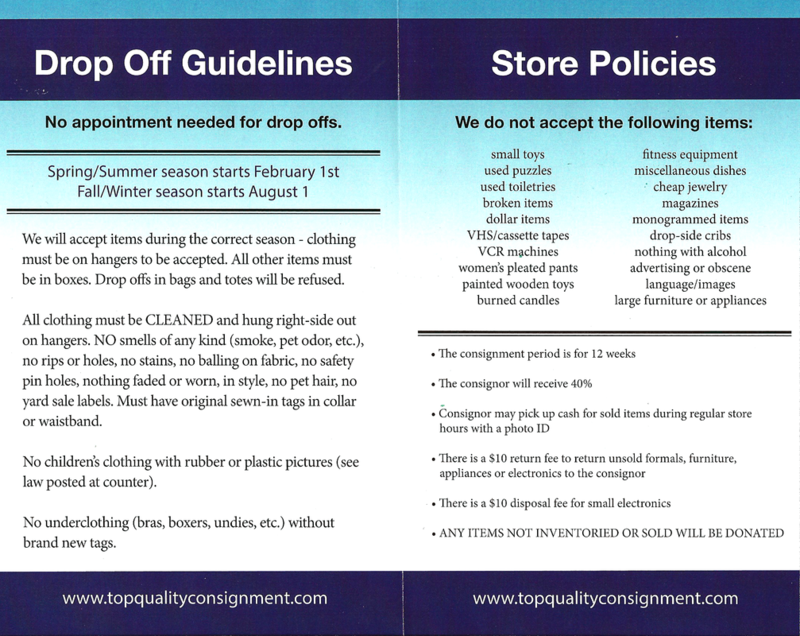 Consignment Policies - WELCOME TO TOP QUALITY CONSIGNMENT! NO LONGER TAKING WIRE HANGERS. You may pick up hangers and/or boxes anytime during regular store hours. We suggest you pick them up, take them home, and hang in the comfort of your own home. SAVE TIME for a quick drop off experience. 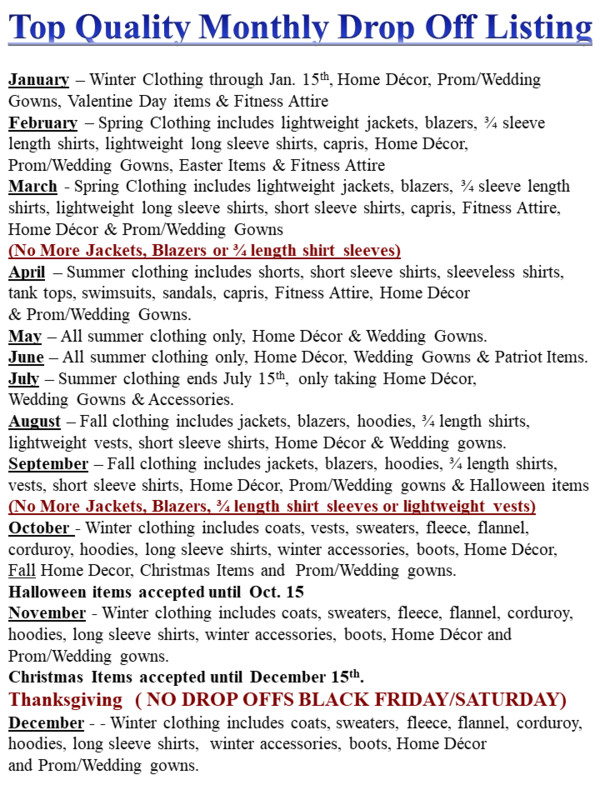 Welcome to our Consignment Policies Page! 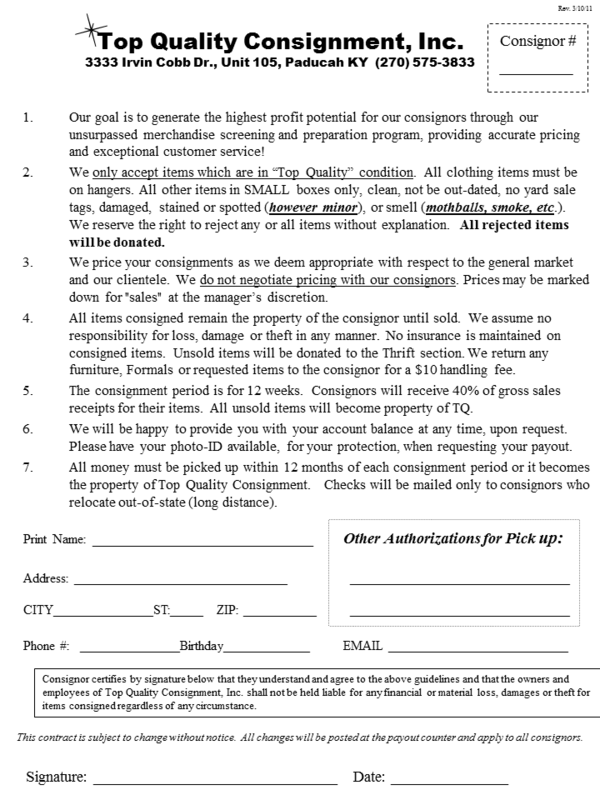 Here you can find our Consignment Contract, Guidelines and Policies. Our Contract is located at the bottom of this page. we can no longer accept any toys such as metal, wood, old & worn, or have lead base paint in its construction. Due to validity requirements and regulations we are no longer accepting top designer items at this time, regardless of authenticity. Please take a look at the five new federal requirements. Any cribs brought in must meet these requirements in order to consign them. If you wish to read and fill out our contract before coming to our store, you can download and print the Contract with the link below. Please make sure your handwriting is printed and legible.